The Lynn Law Firm team. Our New York personal injury attorneys work as a team to stay focused on our clients. At the Lynn Law Firm, our clients benefit from the perfect mix of professional expertise and personal attention. Our team is here to help our clients get the best possible settlement from their personal injury or wrongful death claim. And when we say “our team,” we mean it. Our firm puts all of our resources into our clients' cases to ensure continuity in case development. Our clients reap the benefit of multiple attorneys contributing to strategy, case evaluation, and decision-making. That benefit, of course, is the attention our clients need, and the results they deserve. To learn more about the attorneys and staff at the Lynn Law Firm, click the links below. The Lynn Law Firm consists of more than attorneys. Our office is staffed by experienced and committed professionals, including paralegals, secretaries, and investigators. We use a team approach for case management. An attorney and a paralegal are assigned to each case, handling client communication, case development, and strategy. Our firm has built a reputation for integrity, one client at a time. And above all, it's the reason clients across New York State turn to our firm when they are seriously injured. 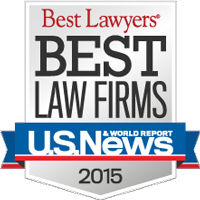 Our attorneys are highly-accredited. 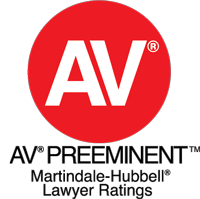 We are an AV® Preeminent™ Law Firm with Martindale-Hubbell®. Also, William Lynn and Patricia Lynn-Ford are members of the American College of Trial Lawyers. All the attorneys are all members of Upstate Super Lawyers. Finally, we are highly ranked by US News & World Report and are also members of the Syracuse Area ABOTA.